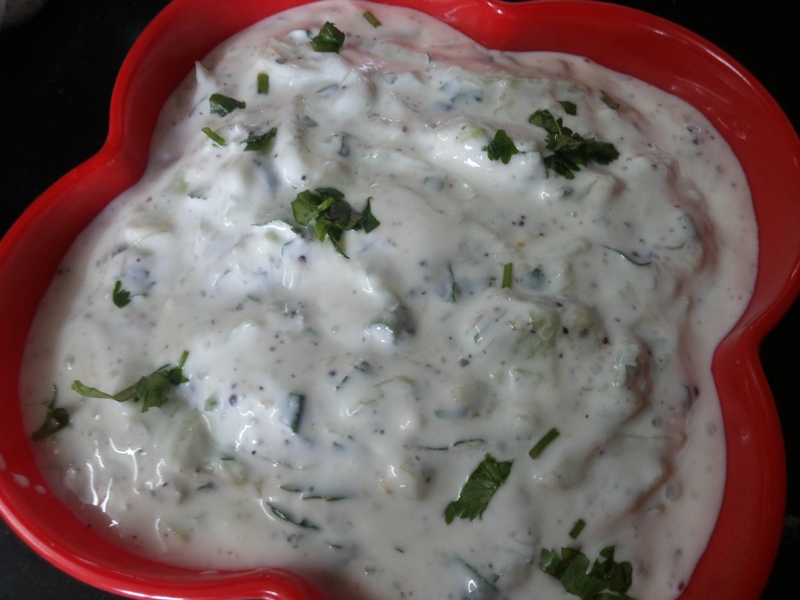 Cucumber Raita is very easy to make, just follow few steps and thats it. 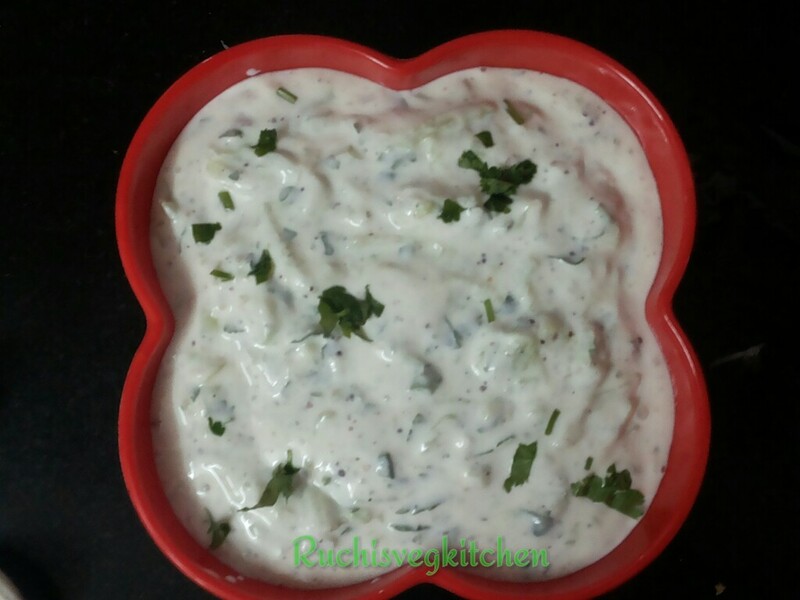 This Raita can be serve with Tava Pulao or Bottle guard Thepla or simple Roti and veg. Always Serve chilled for best taste. Wash , peel and grate the cucumber. You will realise its leaving some water. Keep aside for 1-2 mins then squeeze out the water with soft hands. 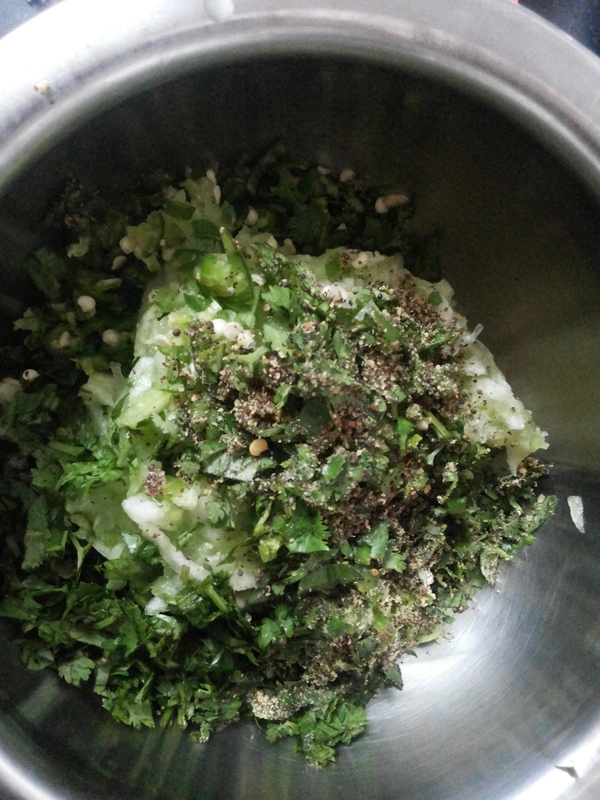 To make mustard Powder, i used Mortar pestle. 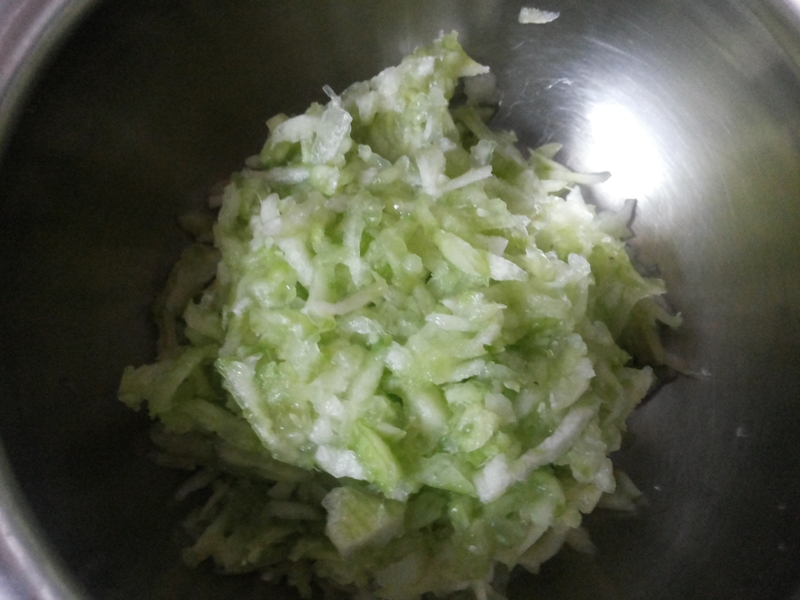 Now add Mustard Powder, chopped green chillies, chopped coriander and black salt to the cucumber. Add Fresh Curd. Mix well . Keep in refrigerator till you serve. Add Salt at time of serve only. This way your raita will not be sour in taste. 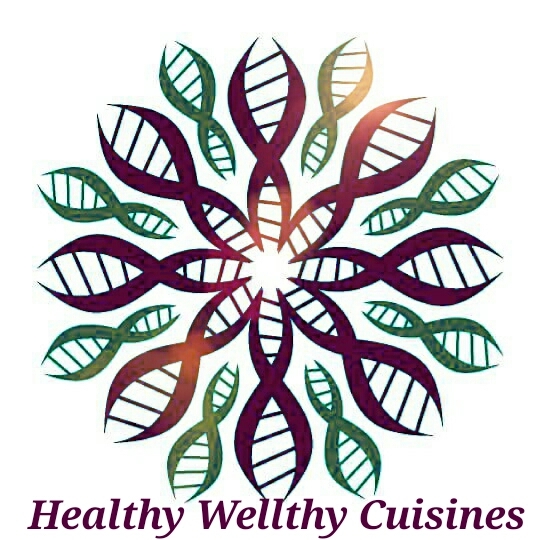 Ruchi….u r awesome da…i just reviewed….i decided to come to your home to make my tummy full…hope u don’t mide.